Divides all data items of PST file: emails, contacts, notes, etc. 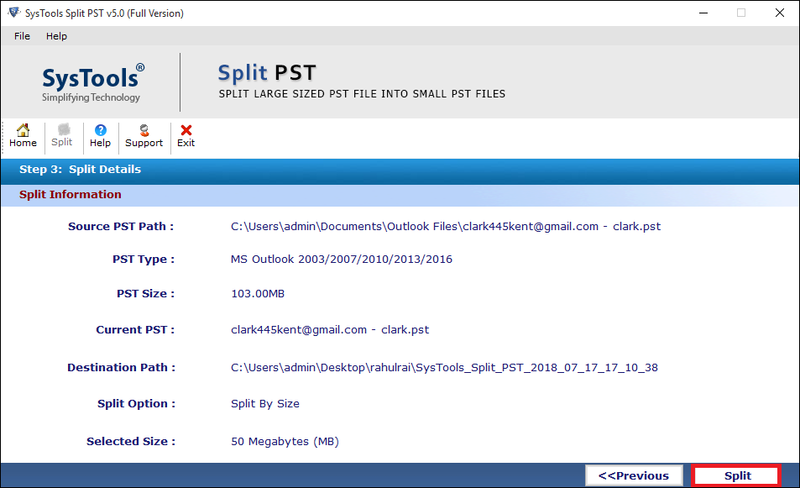 With the help of Outlook PST File Splitter, a user can split any size PST file into smaller files to have an easy access. Moreover, the tool is designed in such a way that it divides both UNICODE & ANSI type PST file without any data loss. Apart from this, tool keeps the meta properties and originality of data intact. 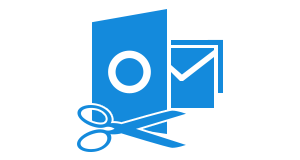 The PST File Splitter software permits users to split archive.pst file/folder also without any restriction. One can split Outlook archive file by size, date, folder or year based on his/ her choice. This option makes it easy for a user to manage the Outlook mailbox in a more simplified way. 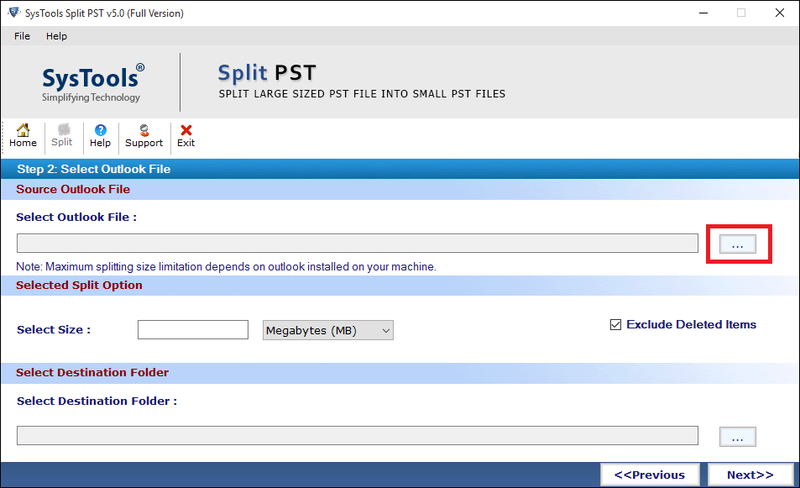 To divide Outlook data file (.pst) using this PST Split tool, it is mandatory to select the MS Outlook format. The tool is compatible with all versions of MS Outlook, including 2016/ 2013/ 2010 and all below versions. Therefore, it is important to select the Outlook format so that software will automatically identify the type of PST file. After successful completion of PST split process, The Outlook PST Splitter software will create a complete report of the process. It also provides an option to save the report in CSV format and refer it in future. The CSV report will carry details like the folder path, folder name, the number of items in each folder, sum, and difference of items before & after splitting the PST file. 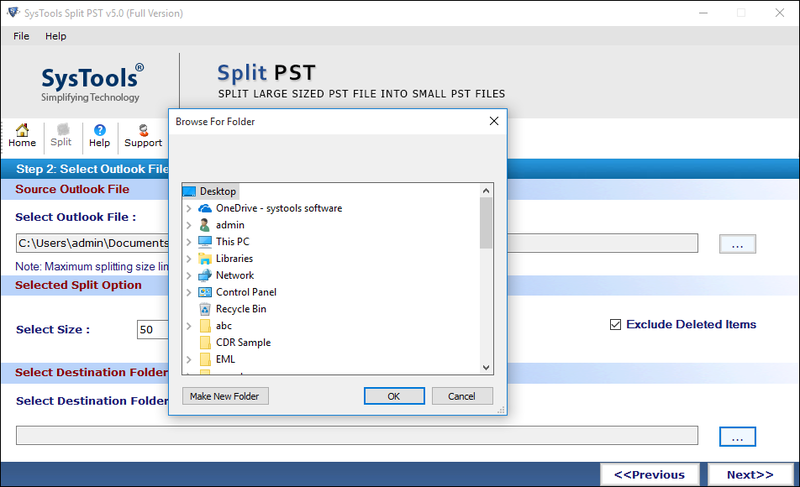 The Outlook PST file splitter software allows users to save the split Outlook data file at any desired location of the user’s choice. In addition, if a user wants can a new folder from and save all PST files into it. However, the CSV file is also saved at the same location of PST file by default. Using this option, one can divide PST file on the yearly basis. Specify the range of year in from and to field, the tool will split PST file according to that only. 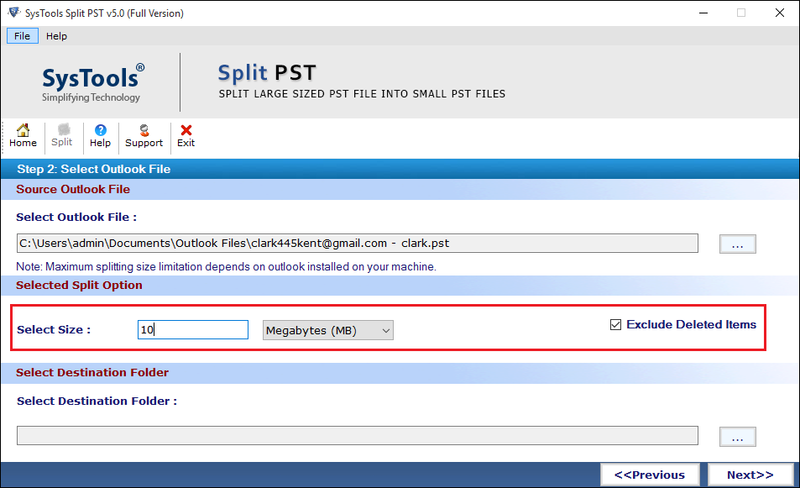 If a user wants to break PST file based on specific size then, specify the size of Outlook PST file between 5 to 1024 MB. The tool will split PST file with that particular size. To create a different PST file for each folder, one can use this option. A separate folder will be created for each resultant outlook pst file and user can save folder at any location. 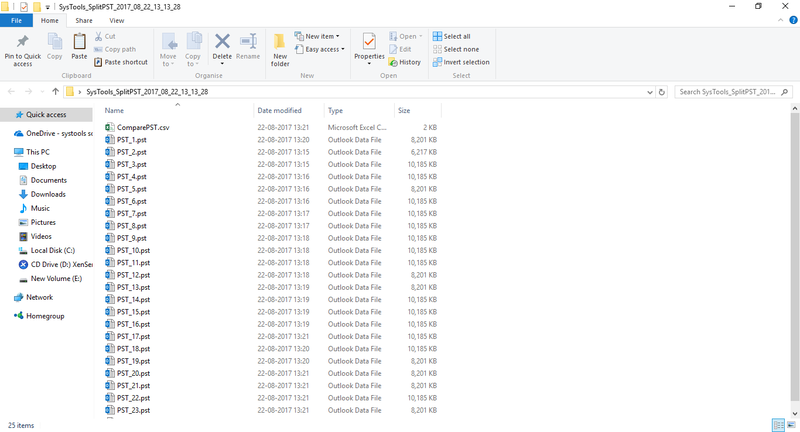 This splitting option divide Outlook PST file by the specified date. In this user need to provide date range and then outlook split software will include only specific files. The outlook pst splitter software is compatible with all Windows Operating System. Simply download the software and install on hosting machine. 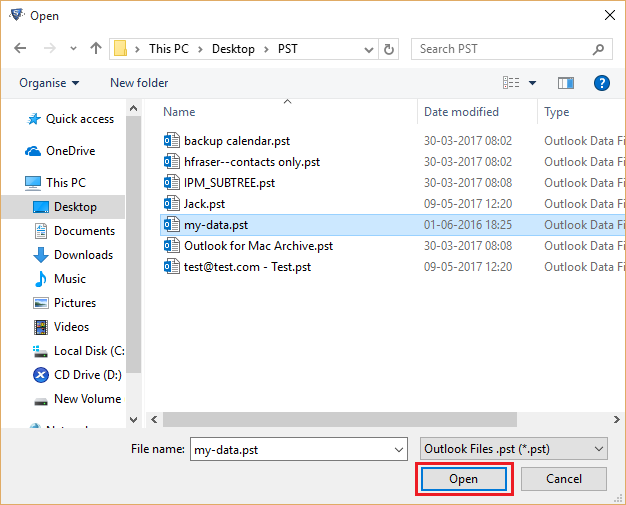 Outlook is required to break pst file into small files. Is it possible to split corrupted PST files using this software? No, with the help of this PST file splitter, one is not allowed to divide corrupt PST file. 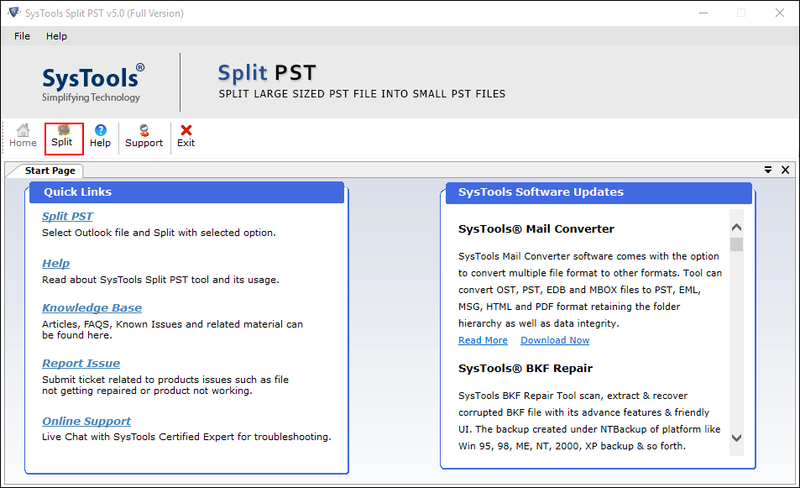 The tool splits on healthy Outlook PST file. However, the tool prevents the corruption issue in PST file due to large size. Does the PST Split software allow to divide PST file in the yearly archive? Yes, a user is allowed to split the PST file in a yearly archive using this software. One just needs to select the Split PST by year option. Can I run this tool on Microsoft Windows 10? Yes, one can run this PST splitter tool on all versions of MS Windows such as Windows 10. No, the PST Split software does not impose any 2 GB file size limitation. However, the software is compatible with both UNICODE & ANSI type PST file. Can I split Outlook PST without having MS Outlook application installed on the machine? No, to divide PST file it is mandatory to have MS Outlook application installed on the machine. Now, choose the Split option, there are four different splitting option, choose any of them based on requirement. 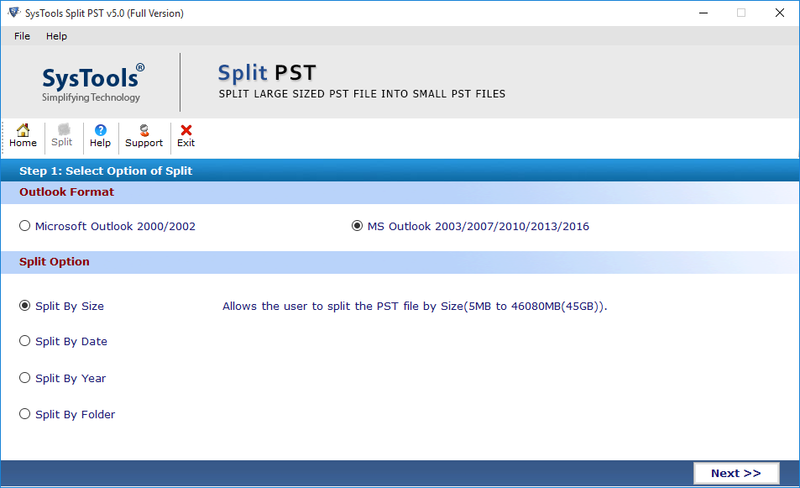 For example, select Split PST by Size option. "Oversized PST file is the major issue in my MS Outlook account. I always have a fear of corruption in PST file. Therefore, looking for a solution to break up large PST file. I must say that PST Split software is an amazing utility with many advanced features. I use it and I must say what an easy interface it has. Thanks to the developers for developing such a great utility. I am definitely going to suggest it to my friends." "I was looking for a tool that can help me splitting PST file in the yearly archive. After a long search, I came to know about the PST split software. It's split PST by year option is really great that helps me in divide large PST by year. Great effort was done by the developer by developing such a great utility. 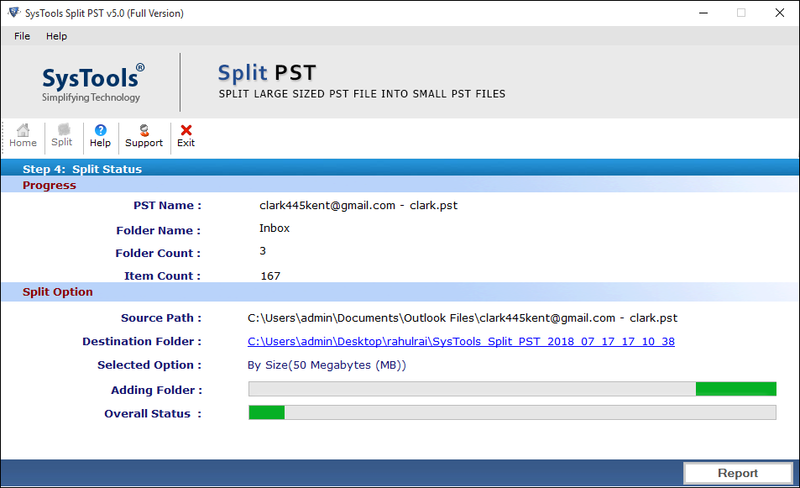 I can easily say that it is the tool that satisfies all my requirement associated with the Outlook PST split software."